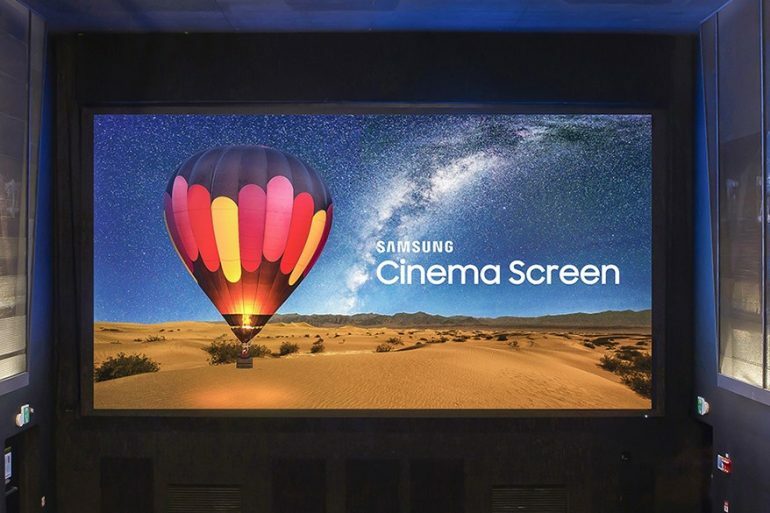 Originally introduced just slightly over a year ago before making it first public debut few months later in South Korea, Samsung has announced that its Cinema LED Screen is coming to Malaysia. In partnership with Golden Screen Cinemas (GSC), the screen will be installed at the company’s massively popular flagship movie theater in Mid Valley Megamall. Based on initial information, it seems that the Samsung Cinema LED Screen at GSC Mid Valley will be quite identical to the first unit that was installed in South Korea last year. For example, it is said to be 10.3 meters wide and comes with the support for 4K resolution as well as HDR contents. Additionally, it is also said to have a brightness level of 146fL which is 10 times of the standard cinema projection technology. Furthermore, the Samsung Cinema LED Screen in GSC Mid Valley will also be paired with JBL audio system which came from Samsung’s own subsidiary, Harman. However, it is not known at the moment on when moviegoers will be able to check out the new screen themselves since both GSC and Samsung didn’t provide the actual opening date for it. Nevertheless, do keep a look for the update on the Samsung Cinema LED Screen when you visit GSC Mid Valley in the near future.